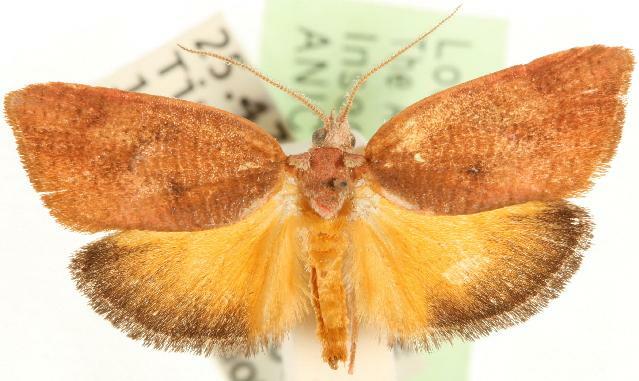 This adult moth has rusty forewings and yellow hindwings that have dark edges. The wingspan of the male is about 2 cms. 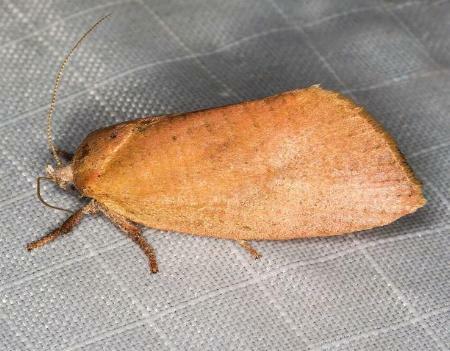 The wingspan of the female is about 3 cms. Melbourne University Press, 1990, fig. 24.4, p. 236. Volume 18 (1894), p. 132.